Freemasonry is a fraternal organization that took root in Europe and spread all over the world. Its “basic aims are to strive for moral betterment, work for the welfare of others, and bring about a universal league of mankind” (Watson in Licauco, 2008). Jose P. Rizal was a freemason who condemned the corrupt ways of the Church and upheld individual and national liberty. Rizal adopted the Masonic name Dimasalang when he was anointed under the Gran Oriente de España. Rizal is said to have been influenced to join Masonry by Miguel Morayta, a history professor at the Universidad de Madrid. Revolutionaries such as Andres Bonifacio, Apolinario Mabini, Ladislao Diwa, Marcelo H. del Pilar, Juan Luna, Deodato Arellano, Graciano Lopez-Jaena, H. Pardo de Tavera, and so many others in the Propaganda Movement and La Liga Filipina were also Masons and as such were automatically excommunicated as decreed for all Catholics becoming Masons since 1738 and reaffirmed by the Catholic Bishops Conference of the Philippines in 1990. In 1912, Rizal’s family did not heed the Jesuits’ request to rebury their eminent pupil. 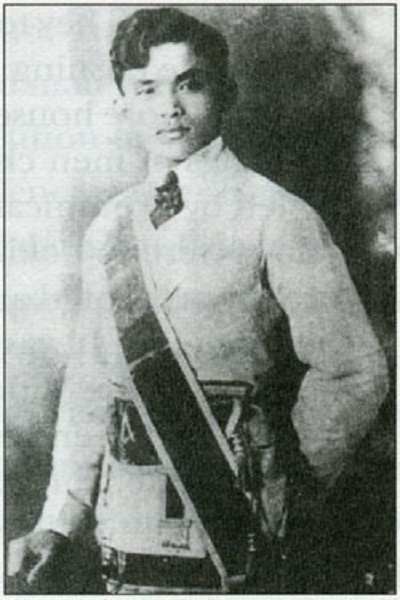 That honor was instead bestowed upon the Masons, led by Timoteo Paez who, in full regalia, carried Rizal’s remains in a long procession to the Masonic Temple in Tondo for funeral rites, before final interment at the Luneta, where he had been executed for rebellion, sedition, and conspiracy 16 years before. However, a controversy remains on whether or not Rizal recanted Masonry before he died. There were allegedly three eye-witnesses to his retraction: Fathers Balaguer and Viza of the Society of Jesus and Captain Rafael Dominguez, who claim that Rizal had signed a document of retraction and conversion before he was executed. Captain Rafael Dominguez, who was with Rizal during Rizal’s last hours, mentioned it in his notes, which were an hour by hour record of Rizal’s last moments (Zafra, 1951). On the other hand, others believe that the documents produced by the Jesuits were fake and altered and the testimonies given were coached. They assert that the Catholic Church only started to claim Rizal as their own once they realized that the people had learned to love and admire Rizal (Fajardo, 1996). Bocobo, Jorge. “Rizal’s Apostasy Was World Ecumenism.” http://www.glphils.org/famous-masons/frizal.htm, accessed April 12, 2011. Fajardo, Reynold S. Dimasalang: The Masonic Life of Dr. Jose Rizal. Rev. Ed. Supreme Council of Sovereign Grand Inspectors General of the 33rd and Last Degree, Ancient and Accepted Scottish Rite of Freemasonry of the Republic of the Philippines, 1996. Licauco, Jaime. “Illuminati, Freemasonry, anti-Christ, New World Order.” August 4, 2008.
http://showbizandstyle.inquirer.net/lifestyle/lifestyle/view/20080804-152626/Illuminati-Freemasonry-anti-Christ-New-World-Order, accessed April 12, 2011. Zafra, Nicolas. (1951). The Historicity of Rizal’s Retraction. Philippines: San Jose Seminary.